After a busy summer, this bird is back blogging once again! I took a break from my CQJP project to work on a cover for my journal. 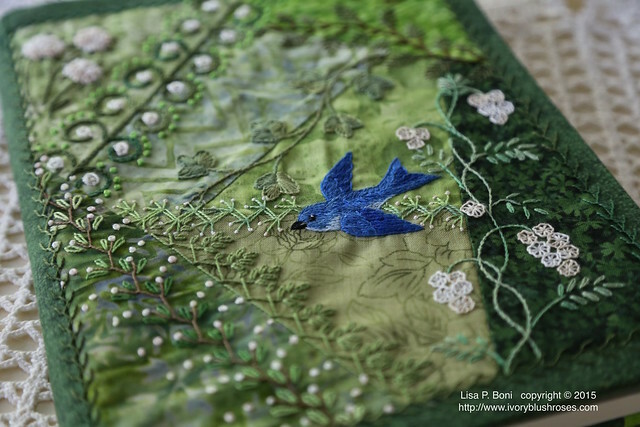 It wasn't long before a mountain bluebird took up residence on the front cover! What a joy it was to be working in my favorite colors once again! Sweet relief! 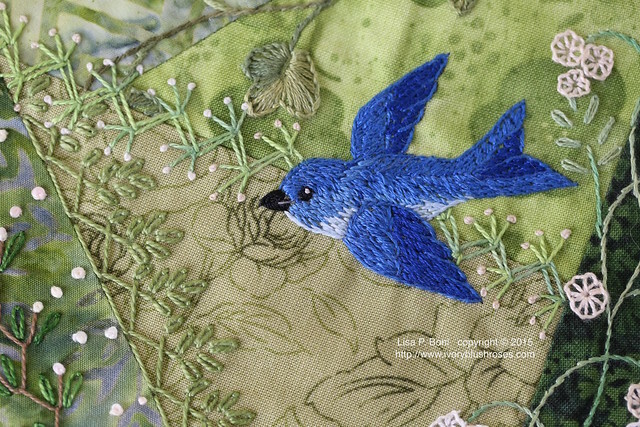 Bluebirds speak of joy to me. Not happiness, which can be fleeting and circumstantial, but of deep joy, the kind that comes regardless of circumstances. On the back, a nest to come home to. 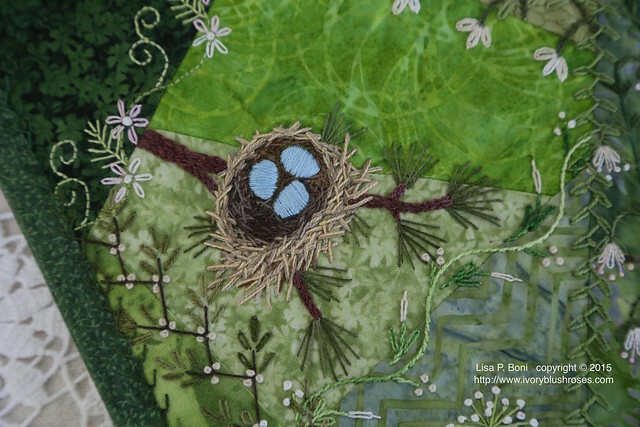 A nest that speaks of hope. 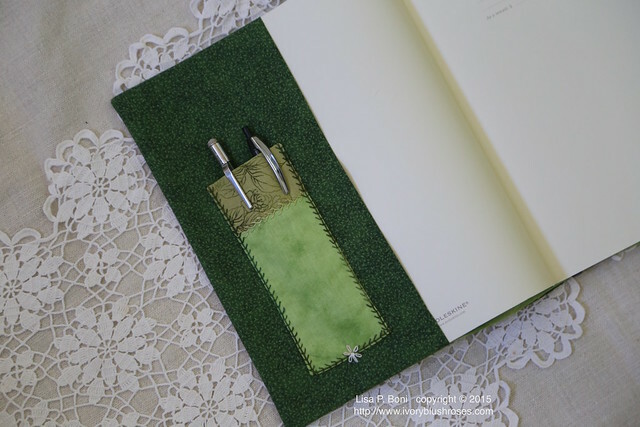 Inside, a place to tuck a pen and pencil. 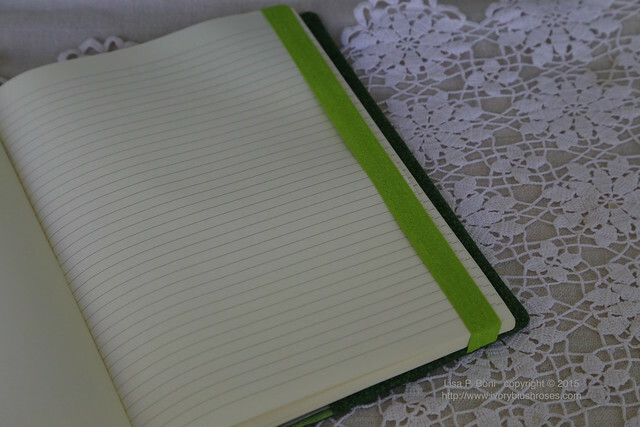 ever so helpful for holding pages fast when journaling outside! This past week, I've been enjoying a "Stay-cation". There had been plans for another trip back east, but my inner turmoil made it clear that I needed time and space to clear my head at home. So the calendar was cleared. How beautiful to have a bit of time to simply be. 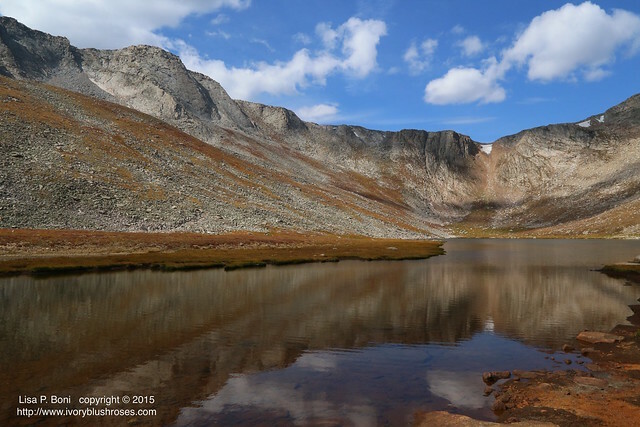 One of those days found me driving up to the heights of Mount Evans. 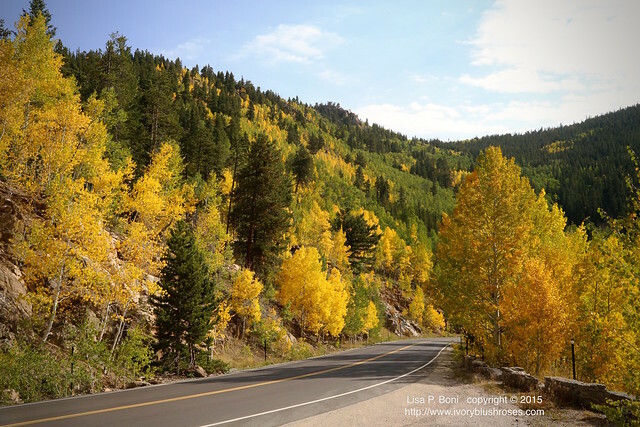 Along the way, a lovely look at the Aspen trees starting to turn. The crystalline structure of the leaves gathers light in and makes them seemingly glow from within. Not as colorful perhaps as the maples and oaks back east, but stunningly beautiful in their own right. Near the base of Mt. Evans is Echo Lake. A lovely walking path around the lake, views of the peaks beyond and the willows along the edge filled to the brim with Wilson's Warblers! As the road climbs the mountain, the views of valleys and mountains beyond is stunning. That's Echo Lake in the foreground. 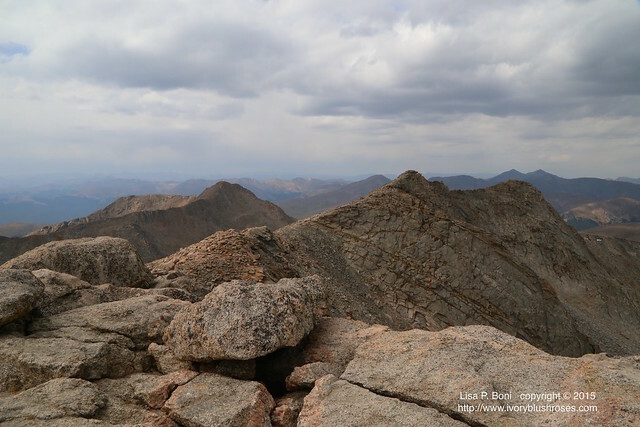 The edge of treeline occurs at about 11,500 feet, so this view is taken from slightly higher. The air thin and crystalline, invigorating. Summit Lake sits at the base of what was once a glacial cirque. Now the clear cold water reflects the peaks and sky above. Along it's edge, mats of tundra plants take advantage of the moisture and American Pipit's dance along the edge. The parking lot at the summit sits about 250 feet below the true summit. I hiked the path to the top and was rewarded with this view of near and distant peaks. 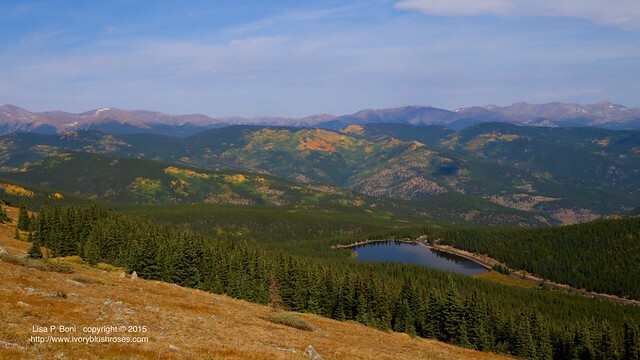 At this elevation, 14, 271 feet above sea level, you can see nearly every high peak in Colorado! As I stood on the peak, buffeted by wind, the clouds moved in and obscured the view. What a treat though, to be able to stand on such a summit without the exertion of hiking miles and miles of steep terrain! 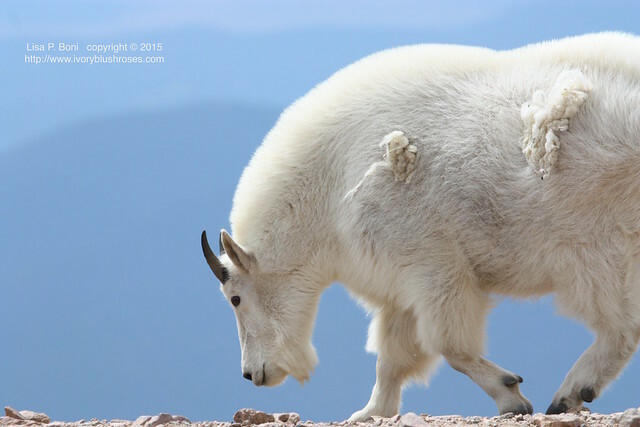 Around the summit, a herd of Mountain Goats thrives in the harsh conditions. Their thick coats guard them from the wind and cold. Even as they prepare for the coming winter, they are still shedding the last of the previous year's coat. 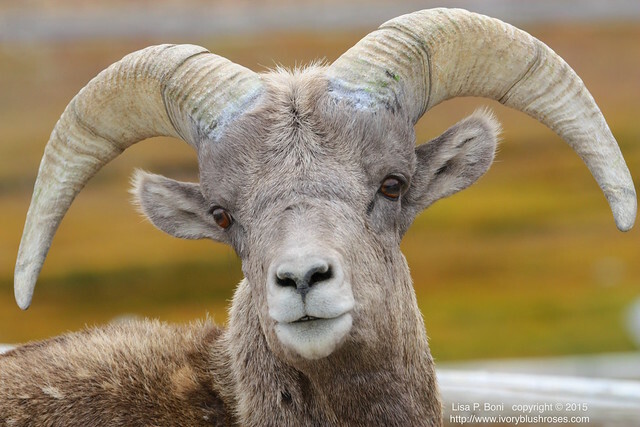 Back down at Summit Lake, I was blessed to be in just the right position for this lovely photo of a young Bighorn Sheep. Truly an amazing day on a magnificent mountain. Another day, I made a trip east to Pawnee National Grasslands. Here, the vistas are enormous as well, but so very different than the views from Mount Evans! 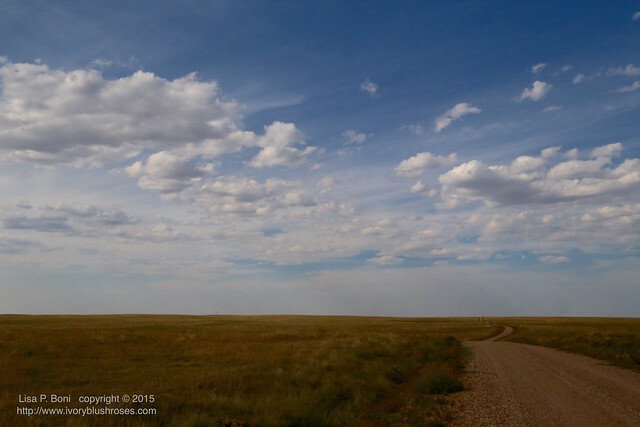 Vast expanses of shortgrass prairie extend out as far as the eye can see and clouds drift across the sky like flocks of sheep. No sound but the sound of the wind, the horned larks and the underlying drone of insect life. Space to breathe. 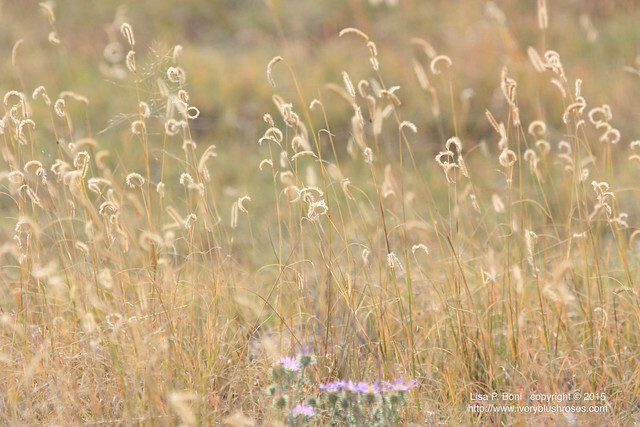 Curly tendrils of grass pick up the light of the afternoon sun. 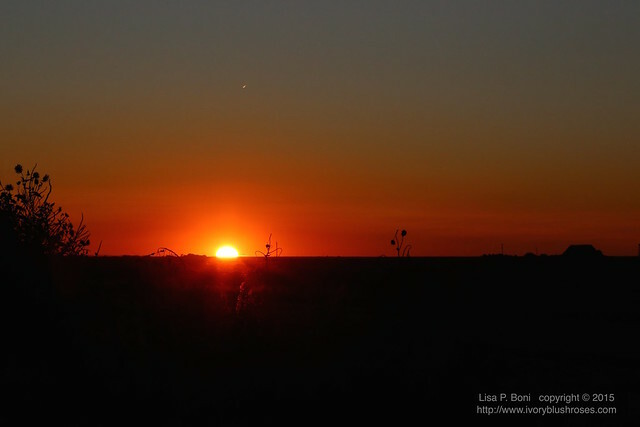 In August I had a trip to Missouri for the CQI retreat. 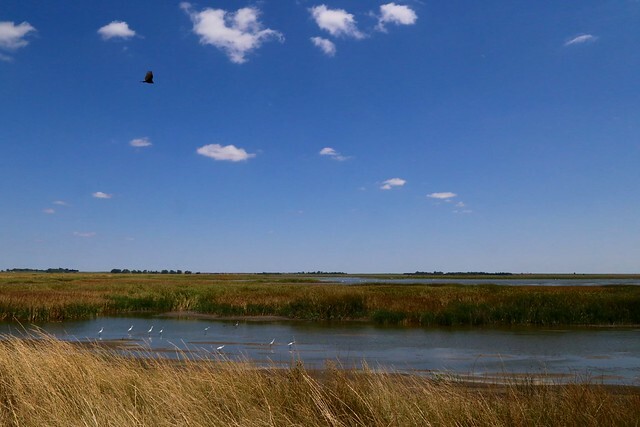 On the way, I stopped at Cheyenne Bottoms National Wildlife Refuge. 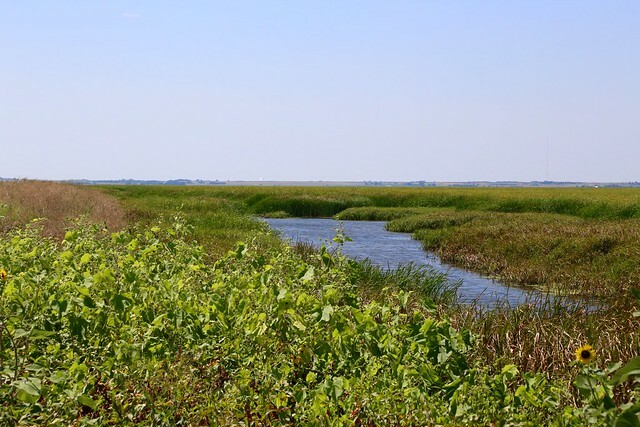 Beautiful to see the blue water amidst enormous stands of reeds and cattails. The ponds were filled with shorebirds of many varieties! The more I looked, the more I saw. Hundreds upon thousands of birds! What was meant to be a brief one hour drive through turned into an afternoon of birding! There were cattle egrets, Snowy Egrets, Whitefaced Ibis, Great Egrets, Great Blue Herons, gulls, ducks, pelicans, avocets, and so many more! 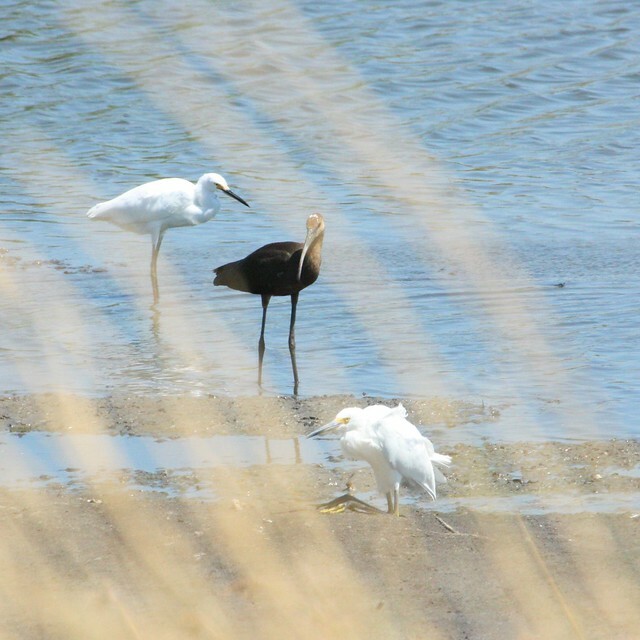 I'd never seen a snowy egret sit like the one in the foreground! At first I wondered if it might be injured, but later it stood up and went about like any other egret! 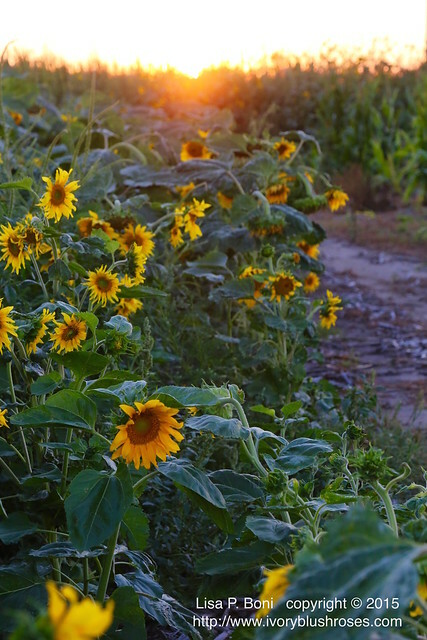 As I made my way through Kansas, the setting sun made the sunflowers glow! Such gorgeous colors in the sunset. We had a lovely time stitching at the Heartland Center! It is always such a pleasure to meet with and stitch with other crazy quilters! I also had the fun of teaching two classes. Both a "beginner's" class, which was more about how I approach crazy quilting, since there were few true beginner's there, and an advanced embroidery class where we looked at how to layer seams and build them up. This was a very hands on class and I hope that everyone felt like they came away with something new! 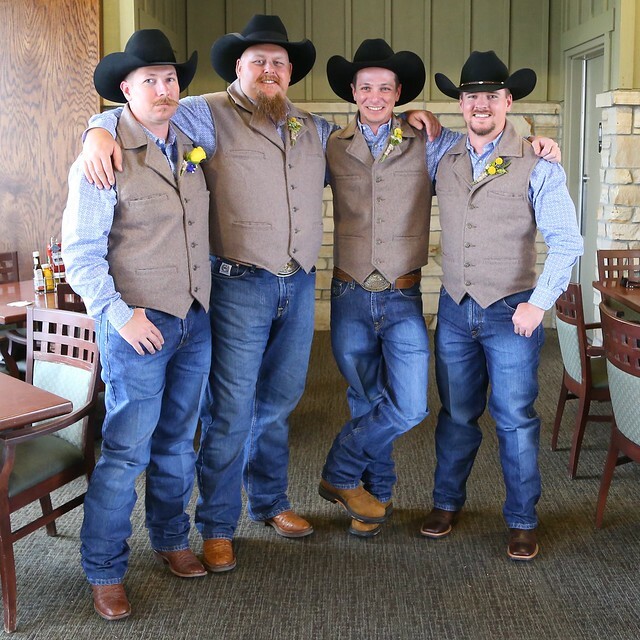 The weekend before the trip to Missouri, was my oldest son Jonathan's wedding! 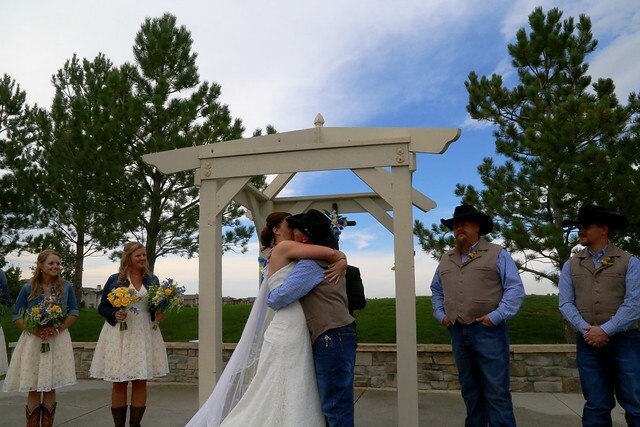 They held it at the Highland Meadows Golf Course in Windsor, Colorado. 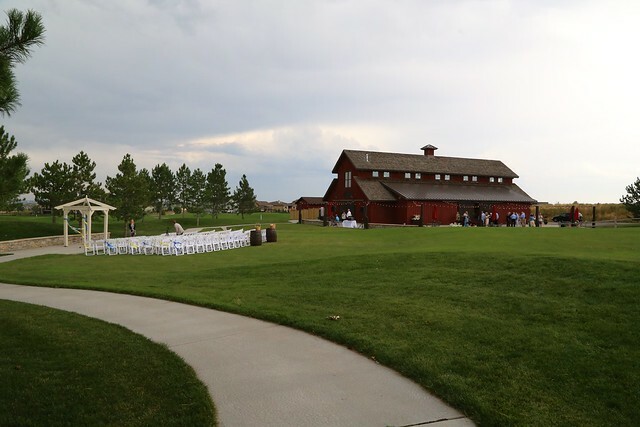 The setting was lovely and the big red barn perfect for the reception! 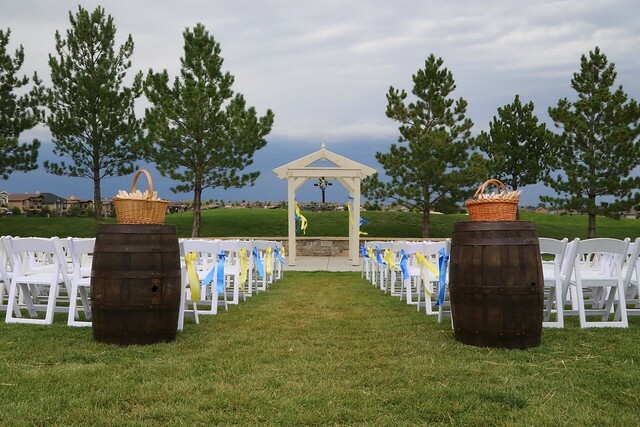 Just before the ceremony, the skies grew dark and the rain began to fall. But as soon as Pastor Jim finished the opening prayer, the sky cleared right overhead! All around us there were storms and tornadoes, but we were in the clear! The ceremony was lovely! 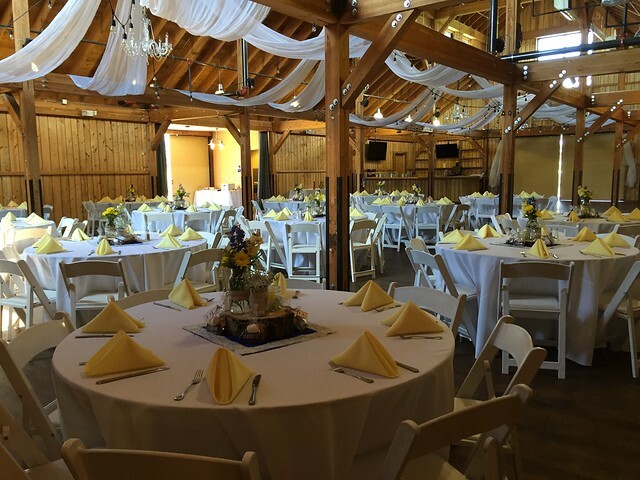 Inside the barn, all was ready for the reception! Such a great space! 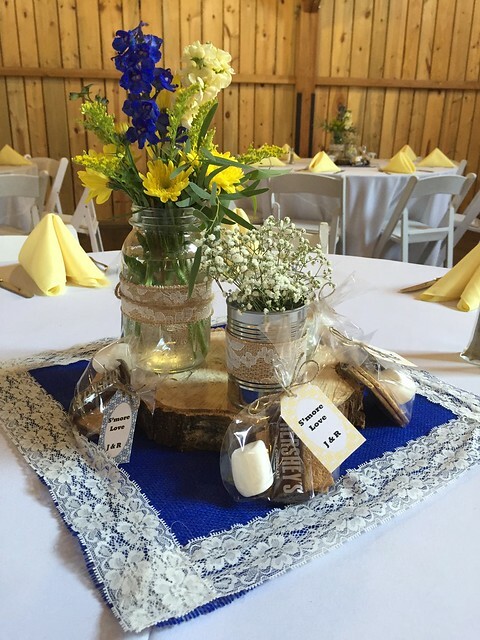 Becca and her mom created all the centerpieces. Favors were little S'more kits! 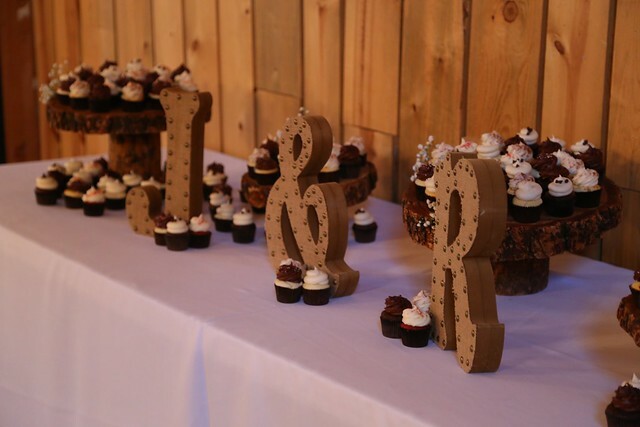 Instead of wedding cake, there were a lovely assortment of little wedding cupcakes! My boys (and the best man, Jonathan's lifelong friend, Steve). Not a bad looking bunch of cowboys! From left to right: Jonathan, Steve, Zach, and Stephen. 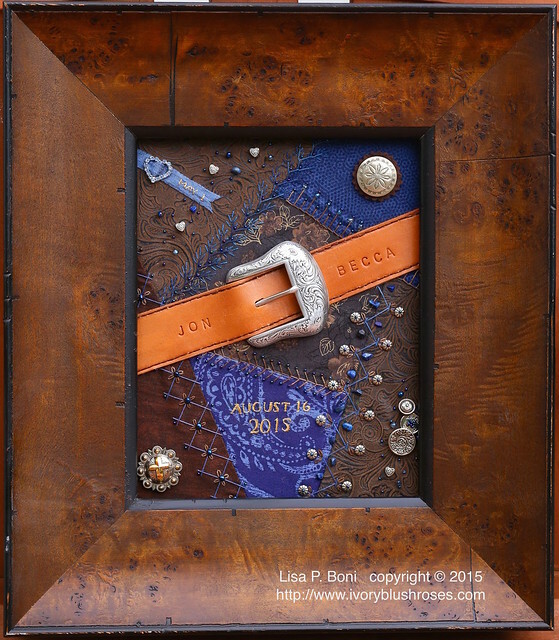 My wedding gift to the couple was this wedding sampler with a rustic western theme. Before the wedding, I painted my dining room. The lower half of the walls is the same white as the kitchen and hallway, the upper half a nice medium sage green that goes beautifully with the rug as well as the paintings I usually hang in here. Painting this room was a huge step for me. Since our house fire in 1999, I haven't painted a room any other color than white or off white. Anything darker than that brought back too many memories of being inside the fire damaged house. But now, 15 years later, I finally wanted a bit of color. The funny thing is that after all the time spent finding a paint that would show off my paintings well, I decided not to hang anything on the walls! The one painting in here simply sits on top of the china cabinet so that I can change it out as I choose. I'm loving the color and the peacefulness of empty walls! My sister came out for the wedding! We spend some time birding. Here she is at the boardwalk at Barr Lake State Park! 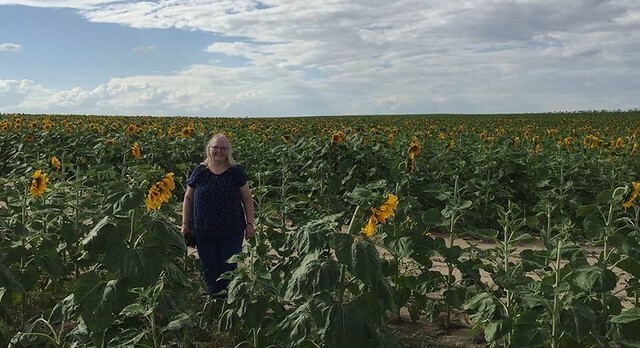 Holly took this photo of me in a field of Sunflowers east of Denver. Before all the wedding festivities started, I stitched some CQ ornaments as samples for a class I'm going to be teaching at the Loopy Ewe in Fort Collins, CO in October. 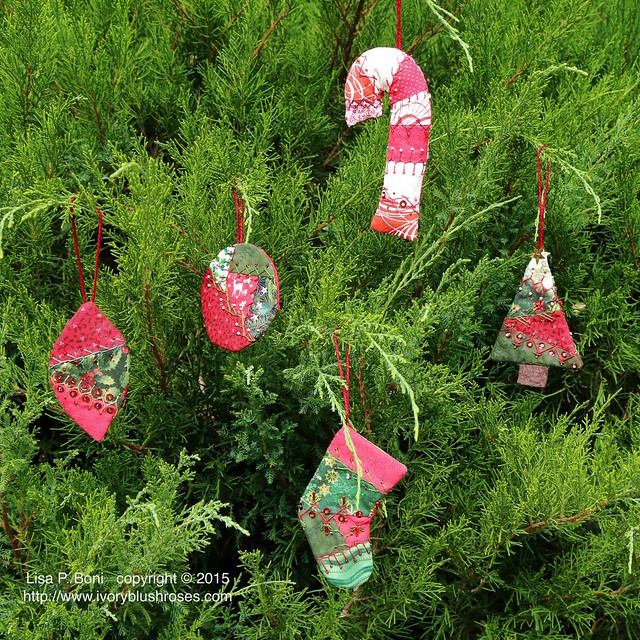 I hope to also be teaching a beginning CQ class as well as a CQ Stocking class! 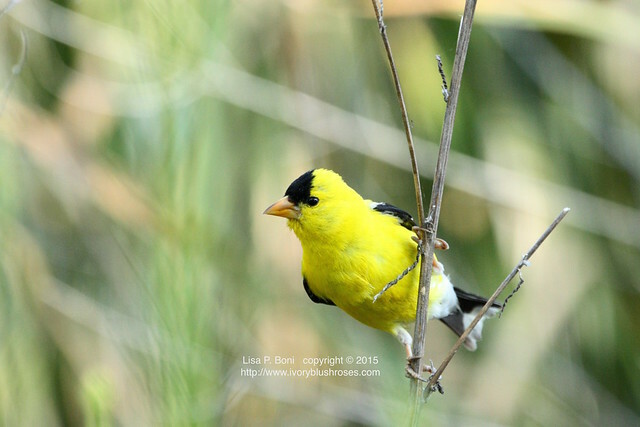 I've also spent some time birding and learning more about how to photograph birds and wildlife. 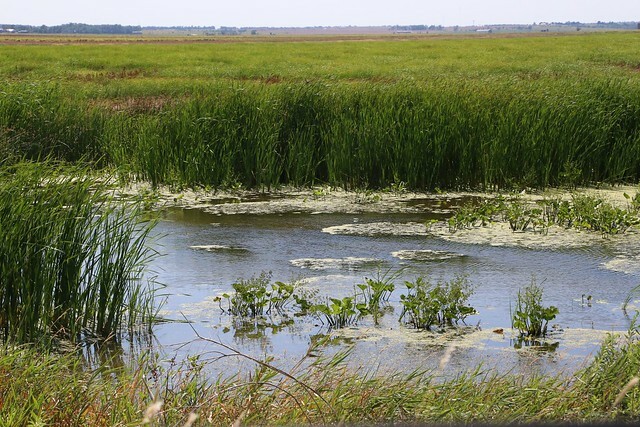 These photos are from Rocky Mountain Arsenal National Wildlife Refuge. Just love the bright yellow goldfinches! 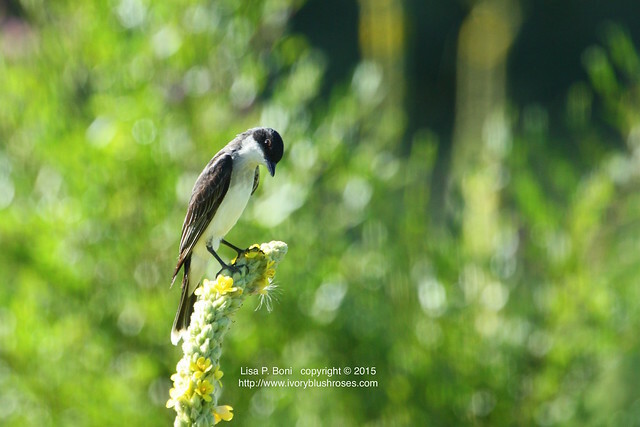 The look on this Eastern Kingbird just makes me giggle! So quizzical! And with that, I think I've caught up on the highlights of the past month and a half! I'll share some watercolor sketches soon. I can't promise that I'll be posting frequently, as I'm still trying to re-prioritise my life some. 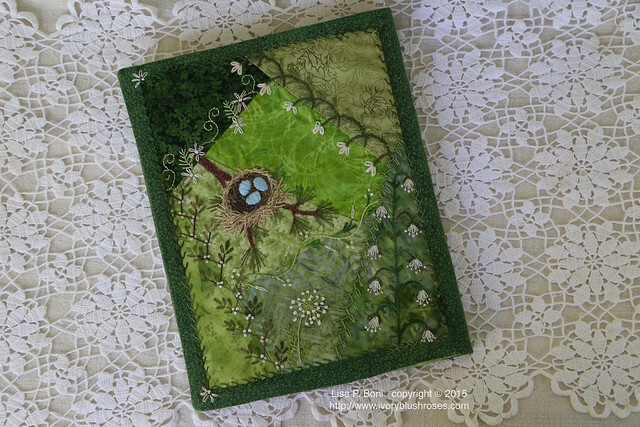 It's time to get back to some projects like my CQJP 2015 blocks, which are woefully behind! There are some other projects in the works as well that I can't wait to stitch and share! Until then, may God's grace be upon you and bless you! What an incredible post - chock full with nature's beauty. What a joy to see all those beautiful photos! 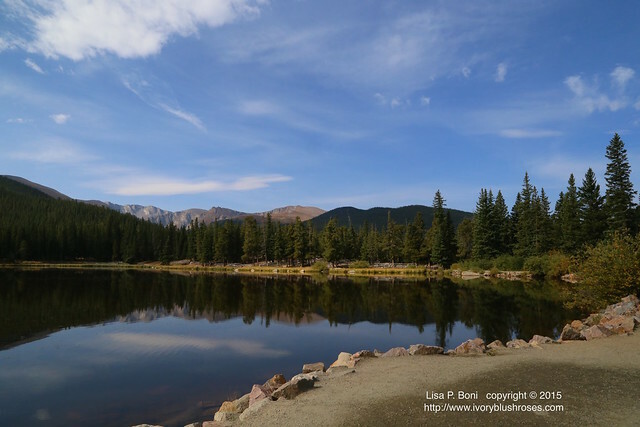 What a wonderful post dear Lisa! Your days have been filled with joy, peace, love, creativity and good times. 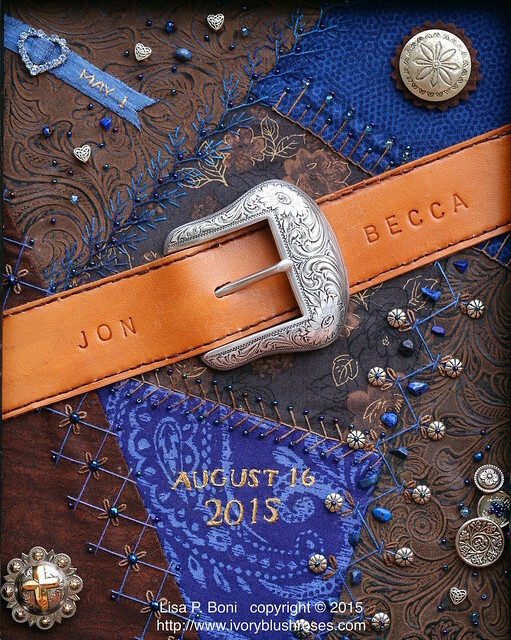 I love the journal cover and the piece you made for Jon and Becca. 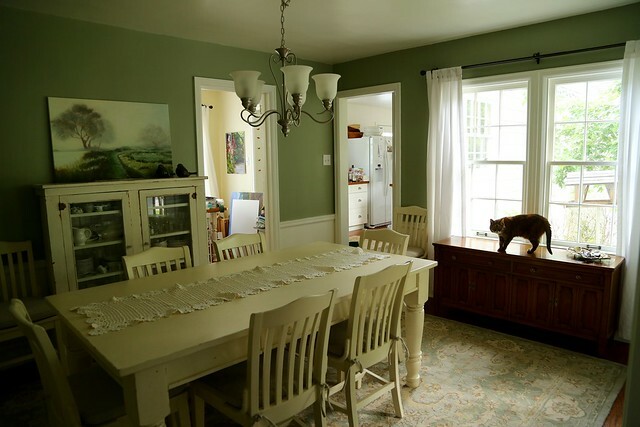 Your dining room looks lovely with its' new color. Your photos are wonderful. How fantastic to be able to take a drive and see all of the beauty. WOW! Thank you for taking the time to write up this post. It was a real treat. It is wonderful to have you back! I love to see all your photos. Your wedding gift is lovely- you are so creative. God bless you. sounds like you had a lovely summer. Your wedding gift was amazing! Nice to have you back. I believe I've checked your site every day for the past ten days in hopes you would return. Today I was rewarded for my efforts. So good to see your work, adventures, etc. again. As for frequency of posting, I'll take anything I can get. Glad you are back, Lisa. WOW, how great to check tonight and see you back and with so much to read and look at it will take me most of the evening to go back over everything so much more carefully. I'm so excited you have returned and boy have you been busy. C'est un grand plaisir de vous retrouver au fil de la toile, j'admire votre travail et j'aime vos photos de nature tout est magnifique. Merci de participer à teinter de beauté la journée de vos lecteurs. Carole C. Next i will try in English, thank you sow beauty in our days through your stiches and photos. Carole C. Haute Savoie France. Lovely post. As a person relatively new to Crazy Quilt, your work is amoung my very favorites. Thank you so much for sharing your art. What a delightful summer you've had. 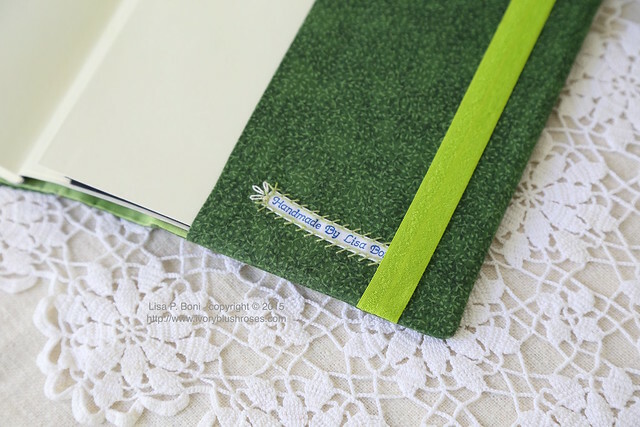 A wedding, nature walks, great photos and gorgeous stitching. Thanks for sharing so much bounty. What a nice way to start off my busy weekend - reading your blog. I'm so glad you're back :). 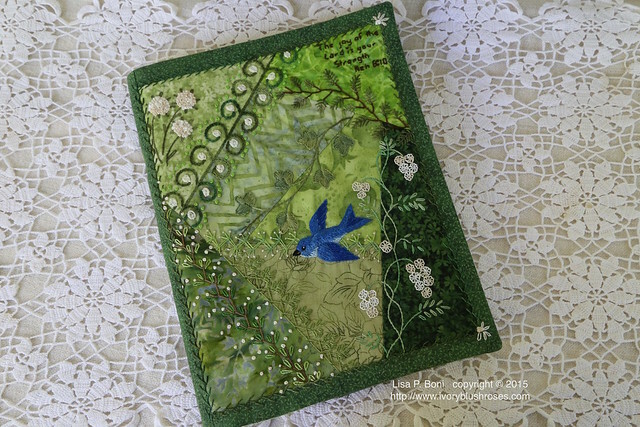 I love your journal cover and loved looking at all your wonderful photos.